One of the best things about being a blogger are the awesome relationships you form. 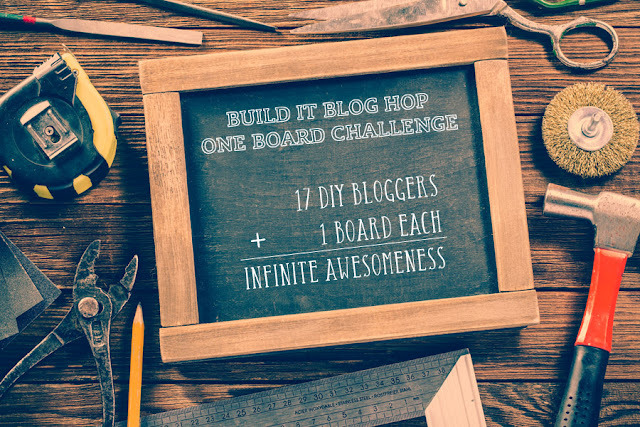 A few weeks backs, my friend Jen Woodhouse issued a One Board Challenge to me and 15 of our builder blog besties. Here are the rules: The project can be anything you want, but must be built from one, 1 x 8 x 8' board. 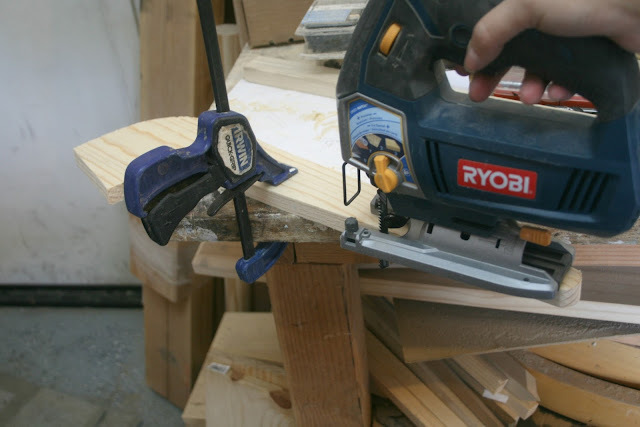 Other materials can be added, but the only lumber used must come from the board. *Make sure to scroll down to get the full list of all 17 bloggers who took the challenge! I'll admit, I was super stumped on this one. I spent about a week scratching my head, totally void of all ideas. Then I stumbled upon this table from Pretty Pegs. I loved everything about it. The minimalist style, the dipped legs, everything. I had to have one, so I made it. 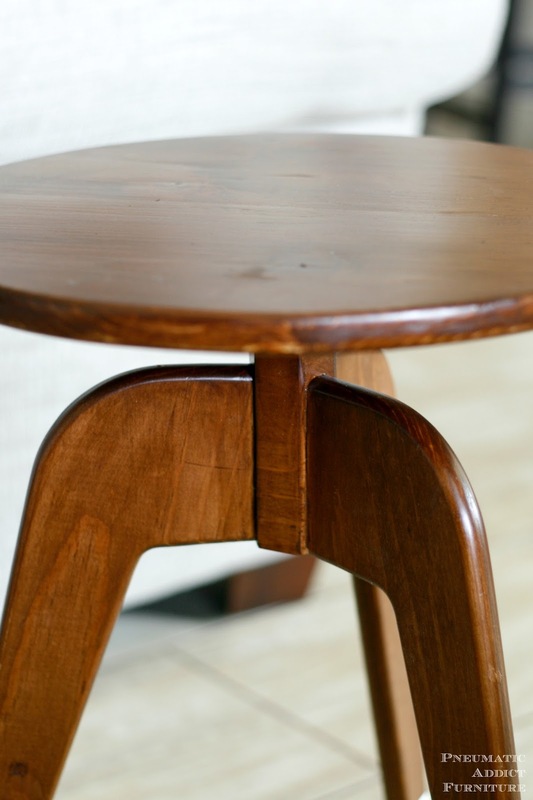 The 14 1/2" wide top is made from two pieces joined together, sitting on top of a hexagonal column and three tapered legs. 1.To start, cut two 14.5" lengths. 2. Flip the boards so that your end grain rings are pointing in opposite directions (this helps the boards from cupping over time). 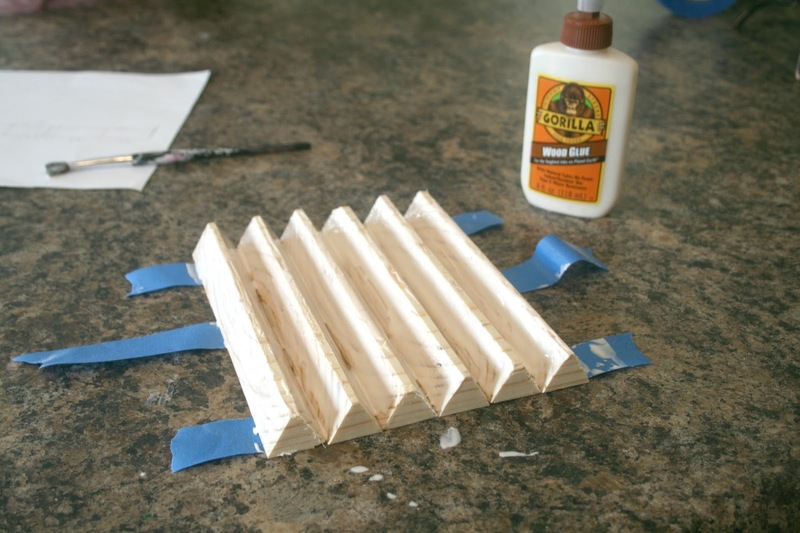 Apply a generous amount of glue on the long side of each board. Line up the edges, and clamp tightly together. While its drying, start working on the legs. 3. EDIT: You can download the leg template here. Once you have the image downloaded, go to rasterbator.net and resize the image to 1 page high. The image should be about 18 1/2" long. It will turn your image into a multi page poster that you can print, cut, and tape together, creating a perfectly sized template. Trace the template three time. Make sure to flip and invert one of the pieces (like you see below), to save lumber. 4. Cut out all three legs with a jigsaw. 5. Sand all sides and edges till they are perfectly smooth. 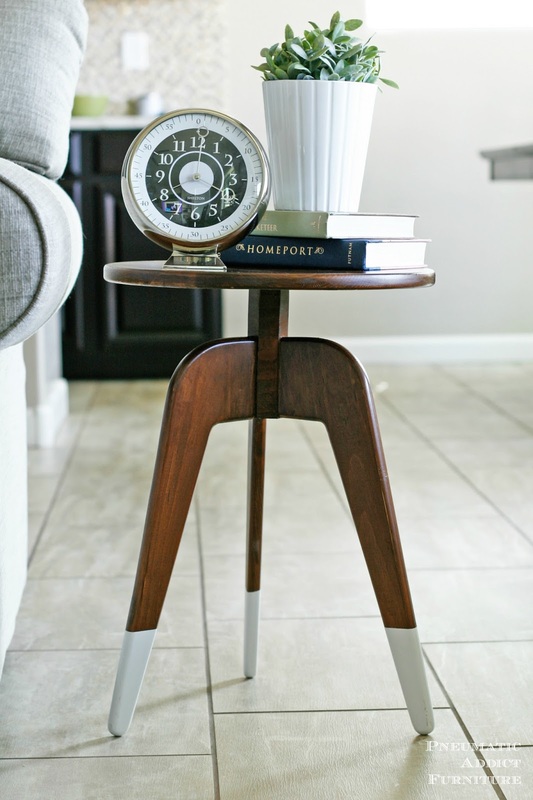 I have been in this mid-century modern kick lately and wanted my legs to have a really sleek look. I ran my hard edges through the router, with a 1/2" roundover bit. 5. With the remainder of the board, you are going to create the hexagonal column. 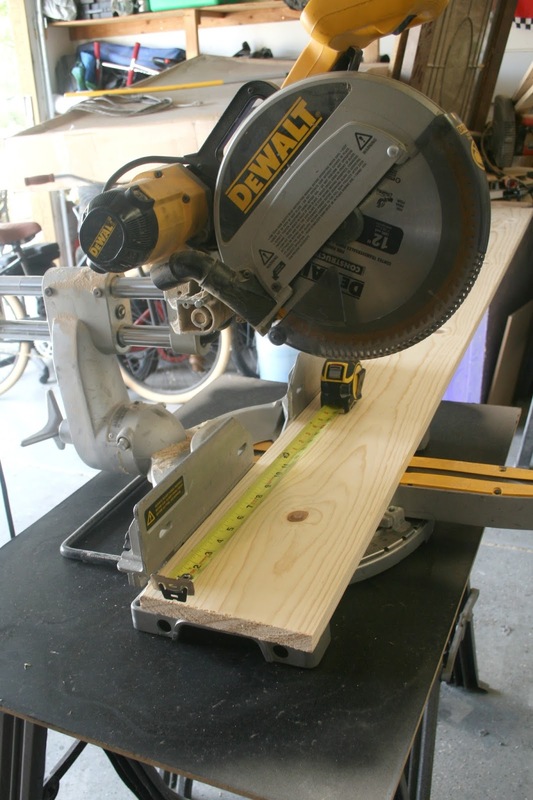 Lay the board flat on the miter saw. 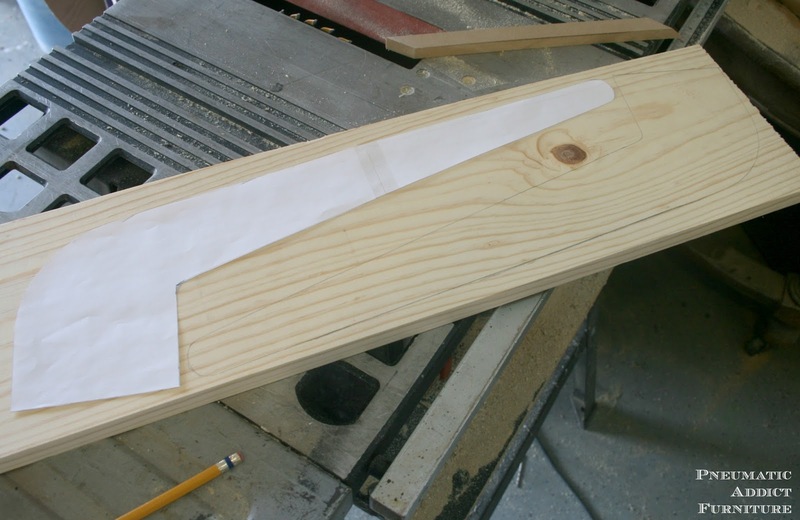 Set your blade to a 30 degree bevel and cut in. 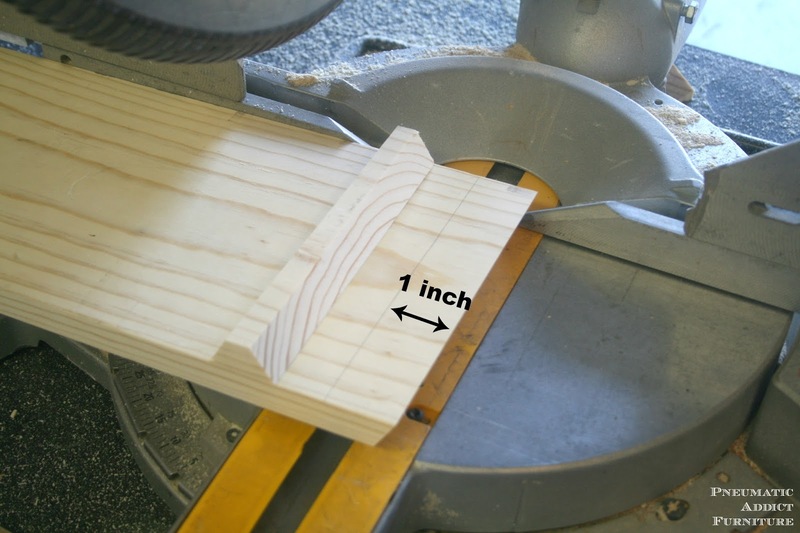 Measure one inch from the long edge of the beveled side and draw a line. Switch the bevel of your blade to the opposite side of the saw, at a 30 degree angle. Cut outwards. You will need 6 strips to create the column. 6. 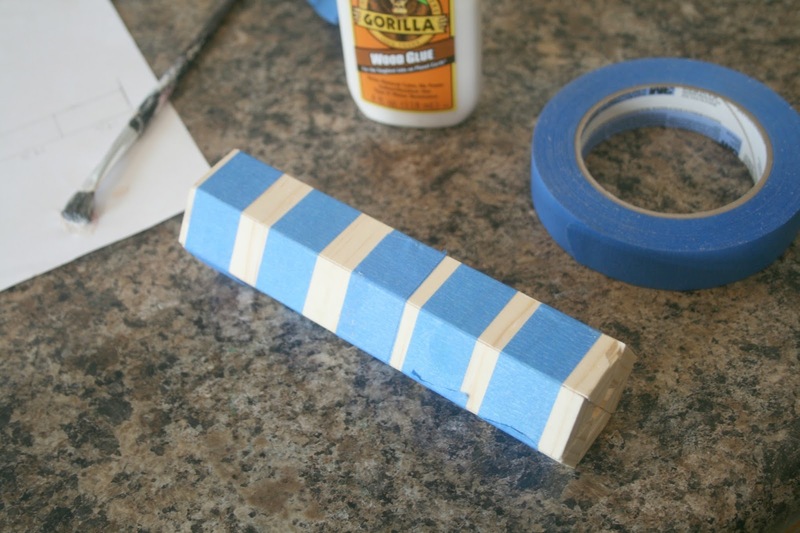 The easiest way to create a column involves a bit of masking tape. Roll out three lengths of tape and place the triangular strips upright, right next to each other. Brush a generous amount of glue. 7. Start on one end, and tightly roll the strips, creating a hexagon. Secure with a couple more strips of tape and set aside to dry. 9. The assembly process requires at least two hands, so pardon the lack of photos. Spread glue over the end of the board, in the dowel holes, and all over the dowels. Line up the legs on the hexagon, skipping a side between each. 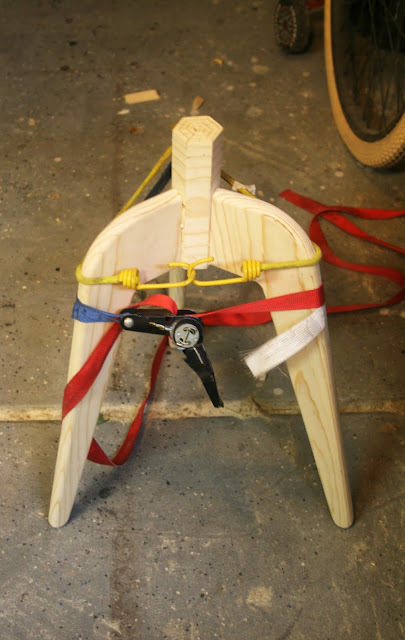 Once lined up, use a strap, bungee, or tie down to hold everything secure and let dry. 10. 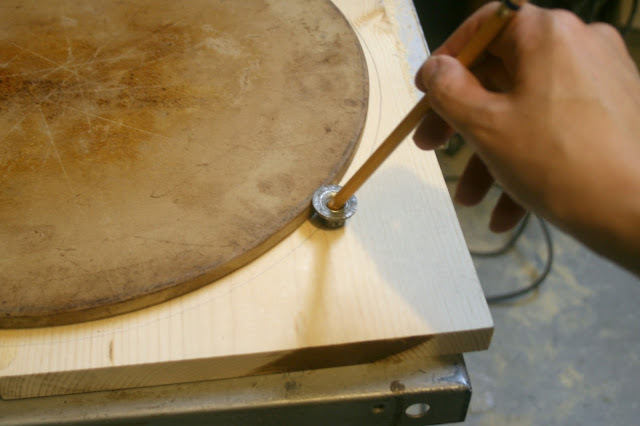 While the base dries, you can cut the top. I used a pizza stone to trace a circle, but it was a bit too small. A quick little tip to trace a shape slightly larger than it is: place your pencil though a washer and run around the shape. Cut out with a jigsaw, and sand smooth. 11. 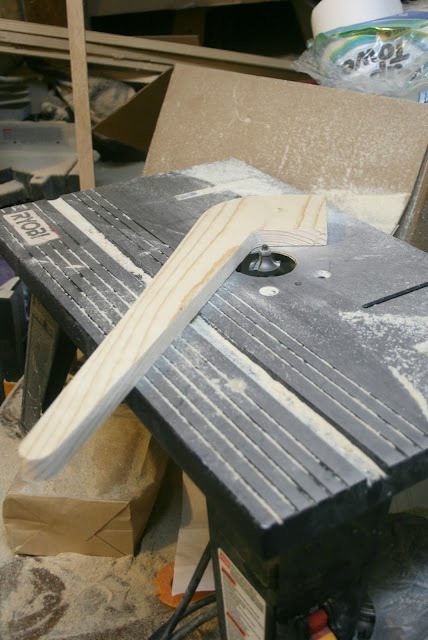 After the top is cut and the base is assembled and dried, you can tackle finishing. I followed my tutorial for staining pine evening, and went with a warm medium tone. 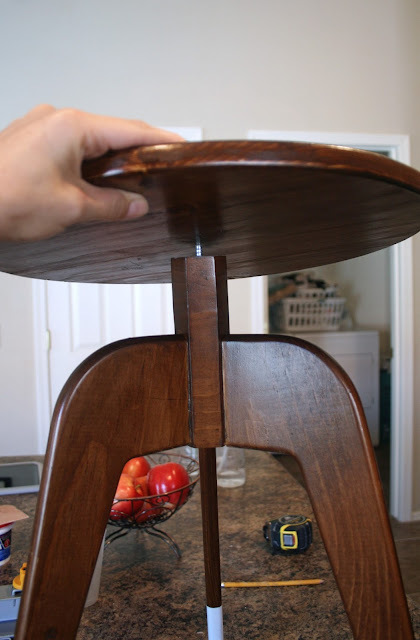 To attach the top, you need to drive a lag screw from the bottom of the hexagonal column. 12. 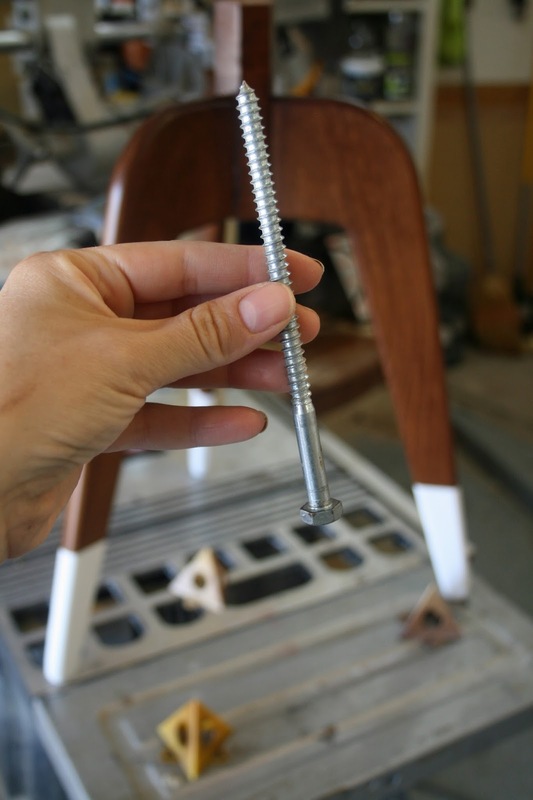 Look for a 6 1/2", 3/8" lag screw. 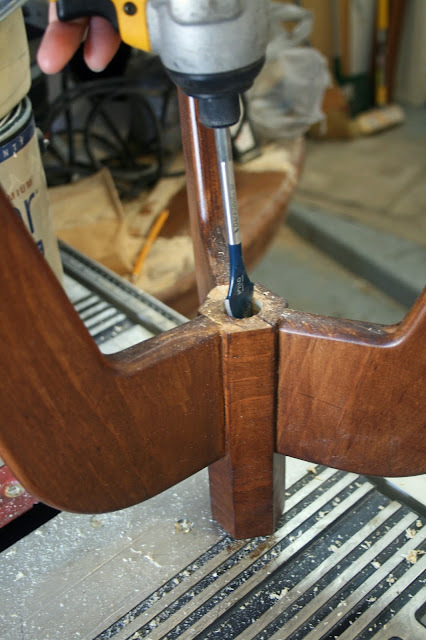 If you can't find one that long, a shorter one will work, you will just need to countersink deeper. Use a spade or forstner drill bit large enough for you to get a socket on the screw head. 13. 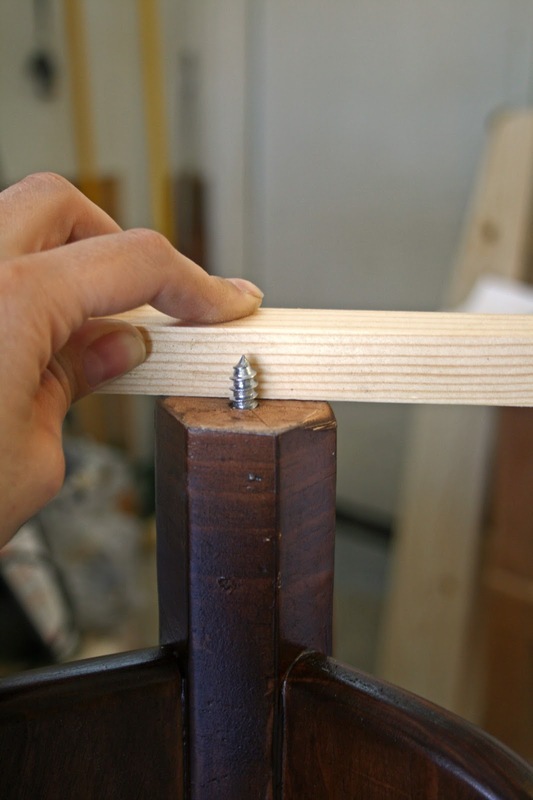 Drive the lag screw through the bottom of the column. Make sure it doesn't stick out the top end further than 3/4", or it will penetrate through your top. 14. Pre-drill a small hole in the center of the underside of your top, and twist the top into place. And that's it! 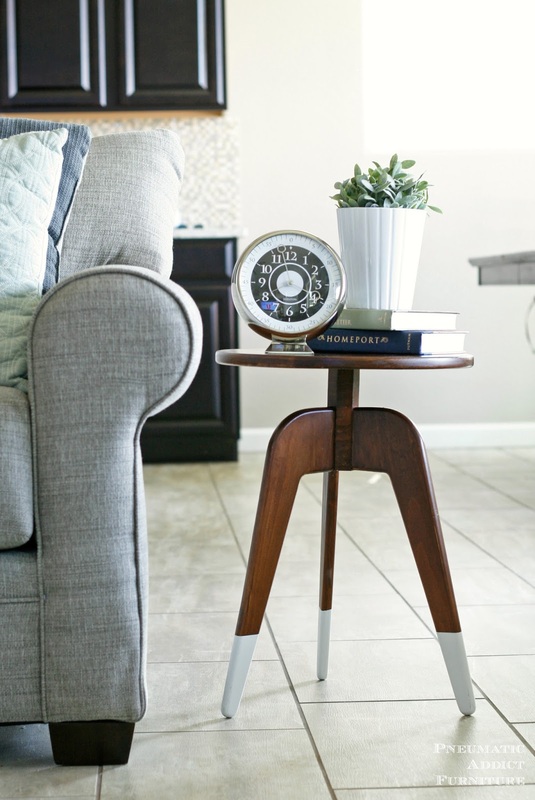 You've got a modern end table for around $11. I had so much fun with this one board challenge! What do you think? 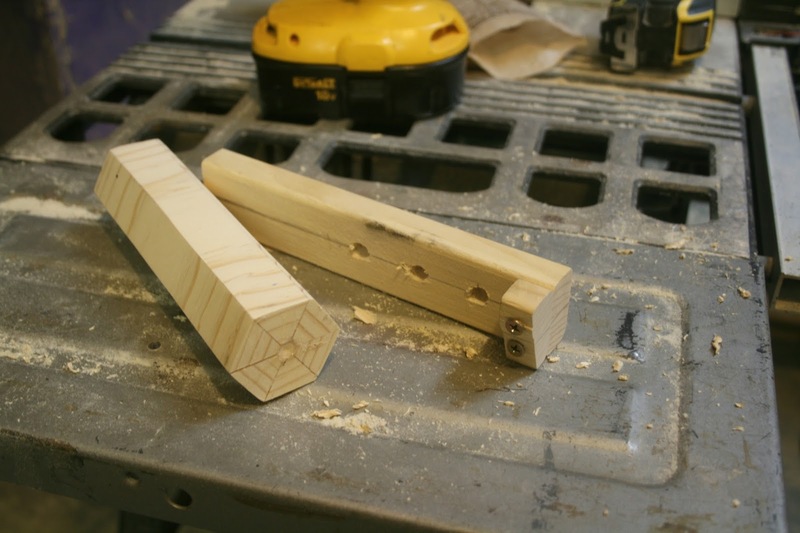 Looks pretty good for a simple piece of lumber, right? You will not believe what my friends have created! I've had a few sneak peaks and take my word, you'll be inspired. This is amazing, Elisha!! It is a beautiful table, but then to make it out of one board - AMAZING! This is seriously awesome! Mad skilzzzzz girl! So stunning! Seriously, you amaze me all the time. Such talent! Very, very cool! I love the style of the table and the finish you chose! Heart-eye-emoji all over this. Brilliant job. Love everything about this table, brilliant idea. So cool Elisha, so cool. I love it! I heart this. Its seriously stunning! Elisha, great project and very unique. I love your creativity! 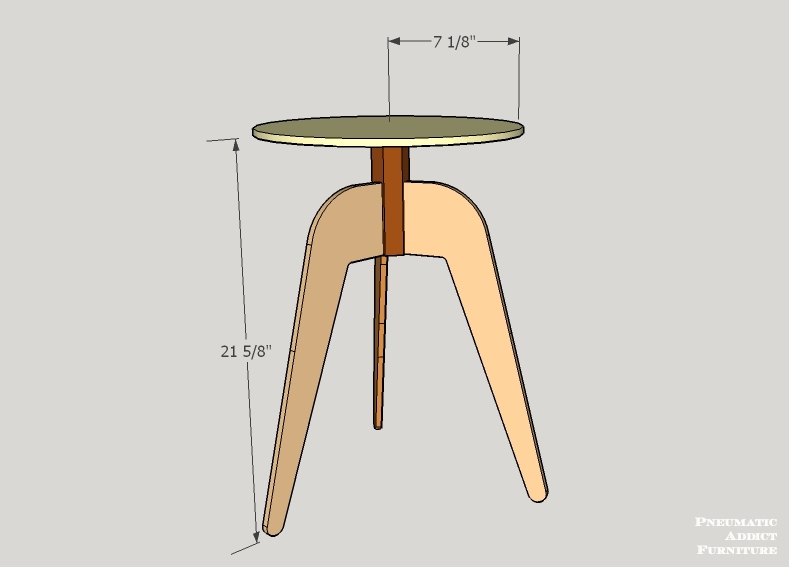 Where can I find the table leg template? Does anyone know where we can download the leg template? Anyone know where we download the leg template? Dude! That's amazing! I think you knocked the challenge out of the park!! Absolutely gorgeous! I especially appreciate your use of bungee cords and tie downs...totally looks like something I would rig up! I always tease my husband about his increasingly large stash of bungees (I swear he hoards them), so that pic jumped right off the page at me! This is really clever! And so efficient! Elisha, I have been gone so I never had a chance to read your post!! Dang Girl your are stinking amazing!! This is just gorgeous and, I LOVED the process of how you made it! You are my hero, seriously! 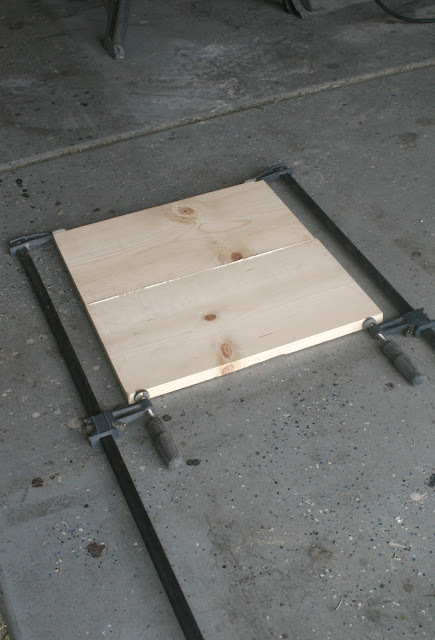 I am stumped, it is amazing to make a table with length 1 x 8 x 8' board only!!...Great... 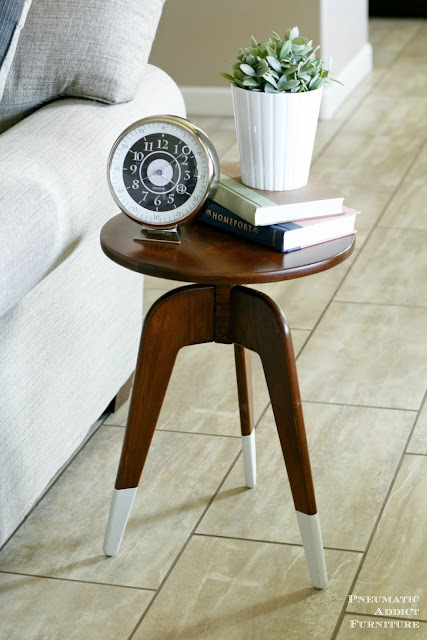 and the end table looks elegant and lovely!! Phenomenal. I love this style of table, but I never would have imagined you could build it out of a single board. Thank you for sharing!